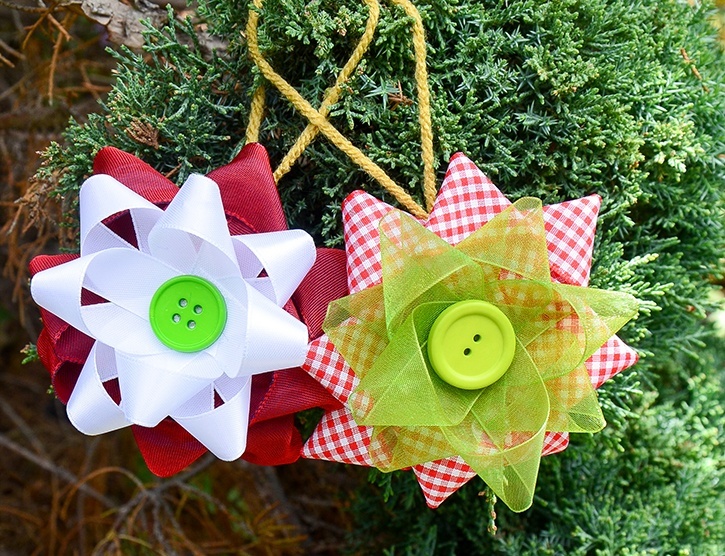 These ribbon ornaments are so fun and easy to make. 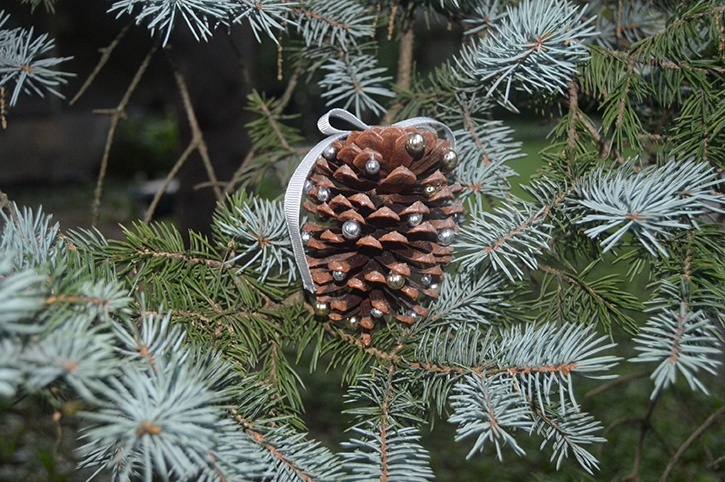 You can use it as a Christmas tree ornament or as a ribbon or tag for holiday gifts. 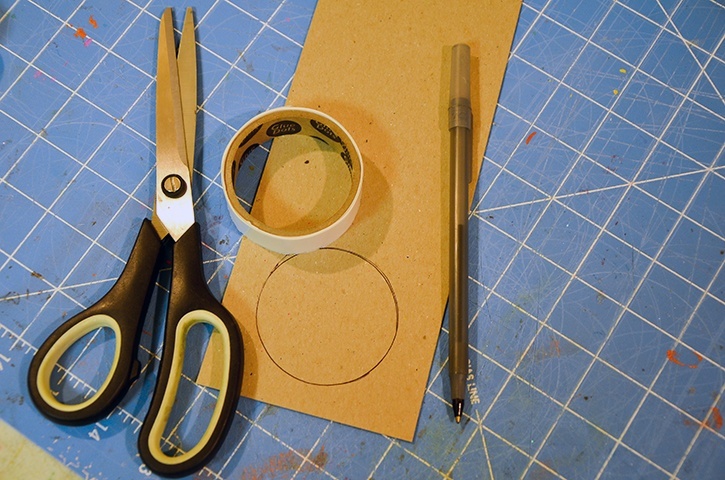 Create the circle from cardboard using a desired circle template. 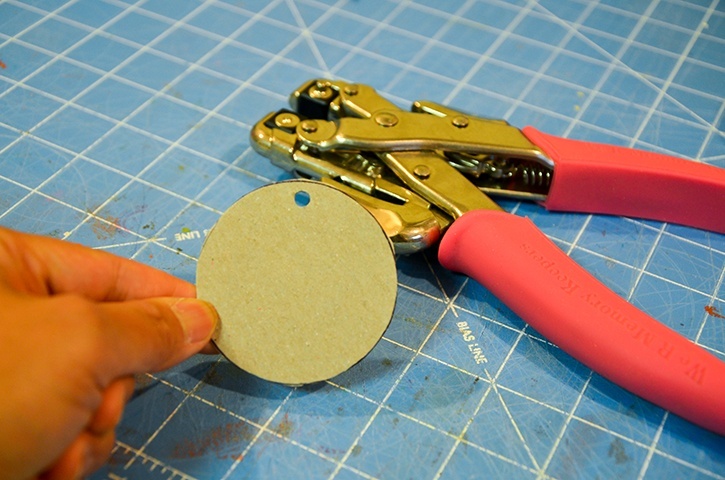 Cut the shape and punch a hole on one side of the circle piece. Cut 8 4" strips from one ribbon. 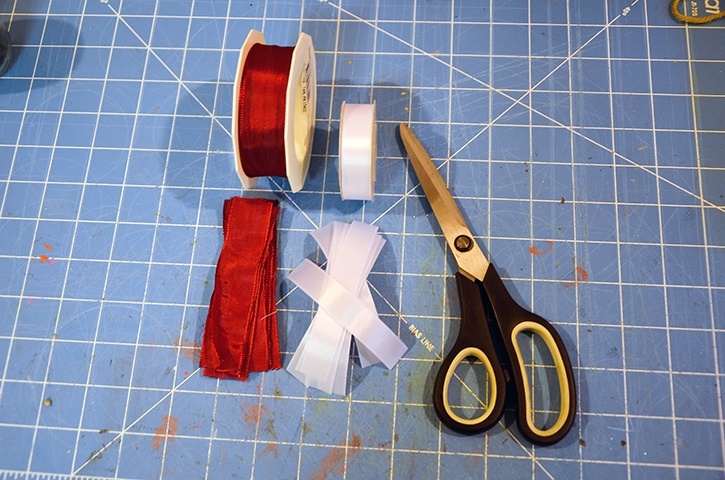 Cut the same amount of ribbon strips from another ribbon color. 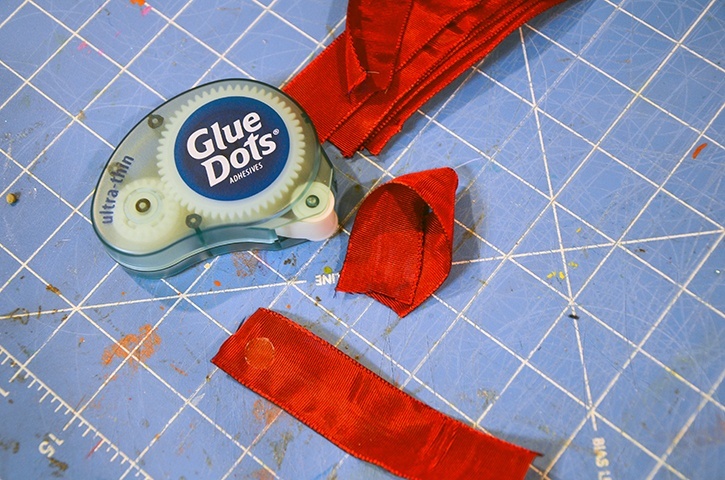 Add an Ultra-Thin Dot on one end of the 4" ribbon piece. Fold over itself to create the loop/petal accent. 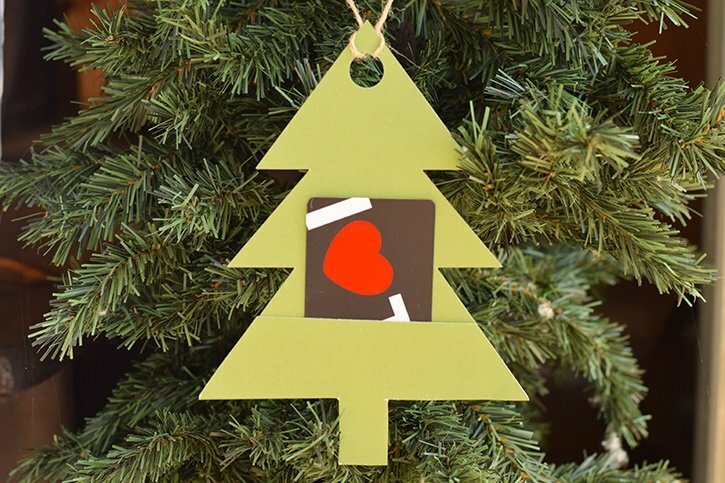 Do this for all ribbon strips. 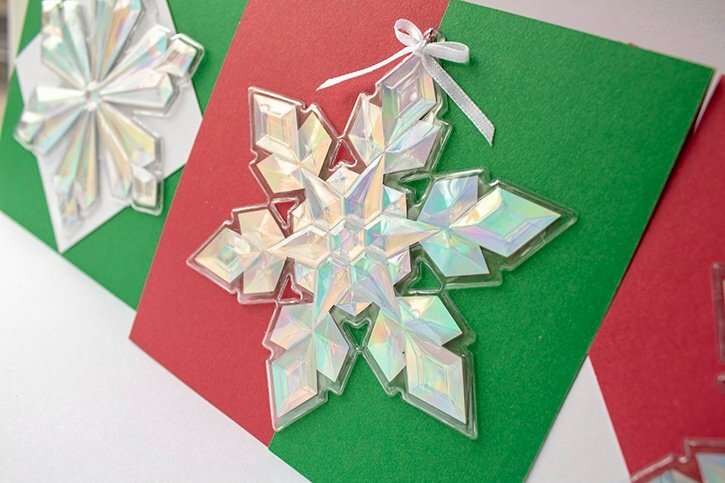 Adhere the ribbon pices to the circle piece using Ultra-Thin Dots. 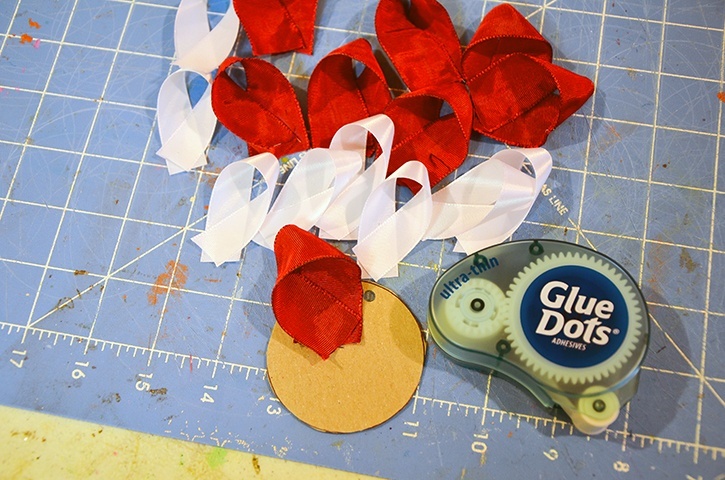 Work with one ribbon color first and then layer the other ribbon on top of them ribbon flower made. 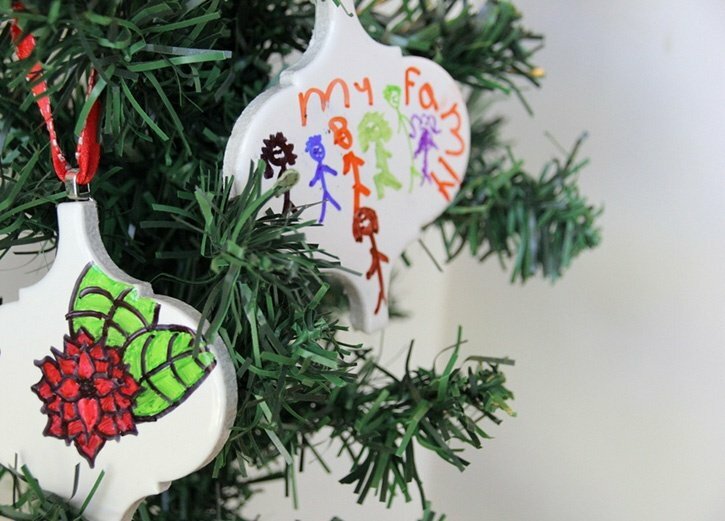 Add a green button in the center of the flower using Ultra-Thin Dots. 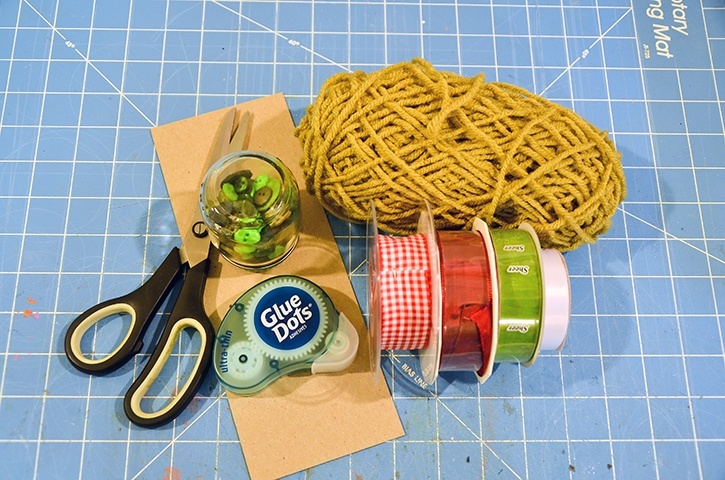 Thread some yarn through the hole you made in the circle cardboard. Tie the ends together to create a loop.